Made from just the bud of the tea bush, this lovely green tea is pan-fired to neutralize the oxidizing enzyme, then hand rolled into tiny pearls and placed amidst just-picked jasmine blossoms for scenting, no less than five times. A transcendent experience. Ultimate perfection and double good luck. 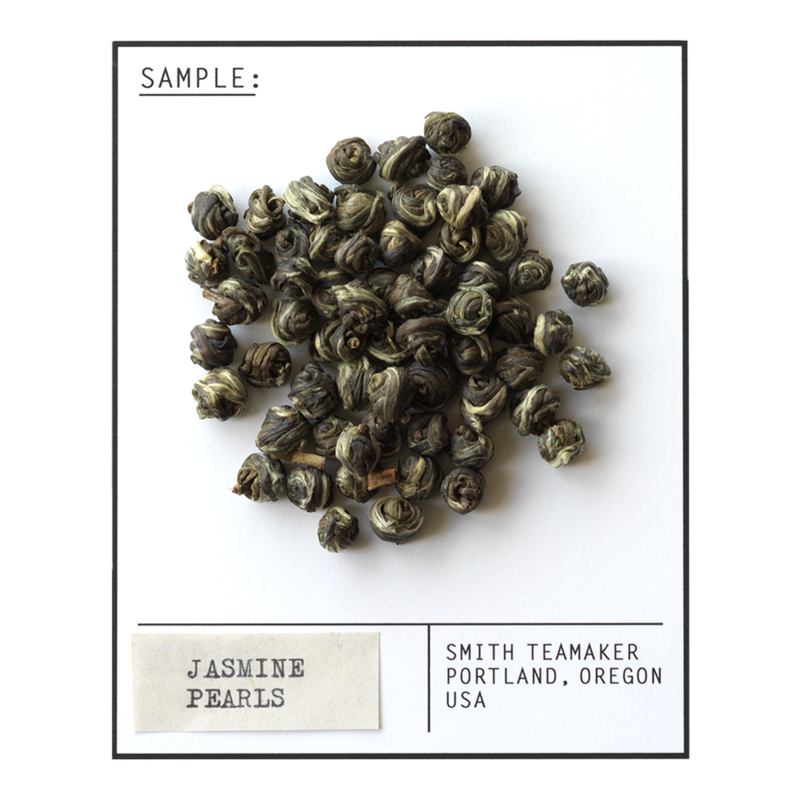 Full leaf China green tea scented with jasmine blossoms. For best flavor, bring spring or freshly drawn filtered water to 190 degrees. Steep three minutes while flashing a pearly smile.